3 images. 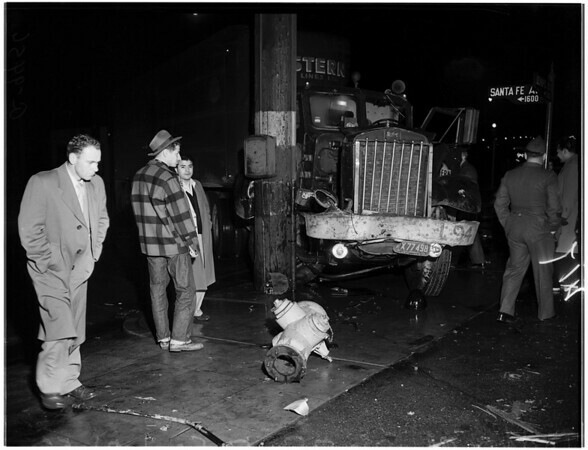 Auto versus truck accident, 21 January 1952. Truck and auto crash at Olympic Boulevard and Santa Fe Avenue. "Sleeve reads A-9456".